I hope you’re having a great day! Things are changing fast here for me. My young adults are turning into grown ups, paving their way in life – searching for their “career” job, and the partner to love that will last a lifetime. Sometimes I wish I could just wrap them in my arms and keep them safe when things don’t go as planned! I know they need to learn things for themselves , but oh.. all the trouble I could save them if they would only listen! LOL! Seriously though… I want them to keep their hearts open and to never stop dreaming because life is worth living and you just never know what you might find especially when you’re not looking! 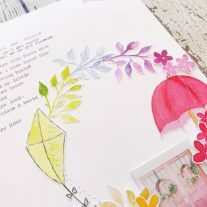 Today I’m playing with the Pretty Little Studio Tales & Dreams Collection. 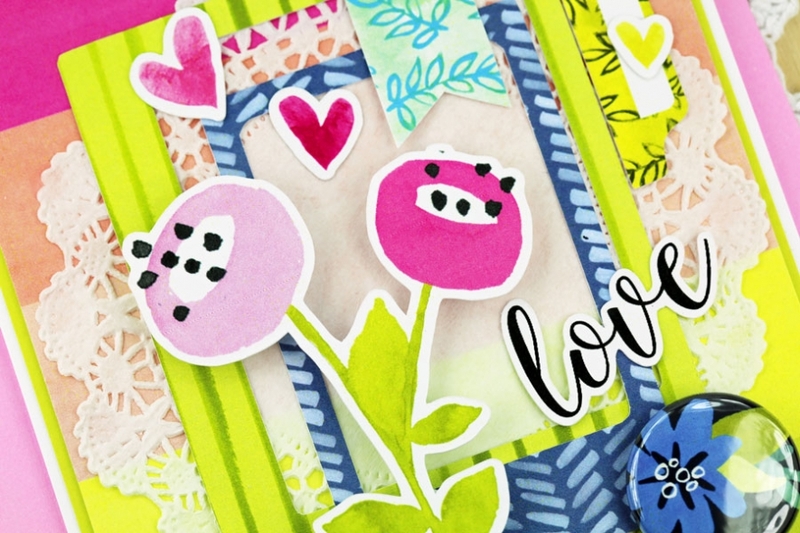 Everything in this collection is fantastic.. the bright color and doodled flowers look like they’re from another world – a magic place where anything is possible. Even the Stories & Tales sticker sentiments are printed on a rainbow of colorful labels. The flairs are always my favorite part of each collection – they’re total eye candy – printed shiny buttons to embellish any project! This one is from the Blooming Dreams pack. My focal point in the center of the card is two Colorful Memories Die Cut Frames layered over a 4″ Cambridge Doily. 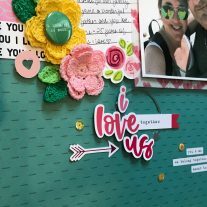 Inside the frames are pretty die cut Flowers from Floral Dreams and a “Love” word die cut from Daily Dreams. I stapled a Magical Ribbons Cut Apart to the pattern paper just above the outer frame. I added a sprinkle of colorful hearts from Magic Moments, and some shiny sequins as the last finishing touch. Sometimes in real life fairy tales do come true. It’s just so hard to be patient and wait!